It is a matter of public record that Battlefield 4 had a shonky launch, with players, developers and publishers now all in agreement that the DICE shooter touched down with all the grace and elegance of a swan landing on a motorway because it’s stupid swan-brain thinks roads look like rivers. Get it together, swans. But while swans refuse to change their ways or admit to their mistakes, an introspective DICE are admitting that the woeful launch and subsequent issues that have plagued Battlefield 4 have harmed player trust in the series. 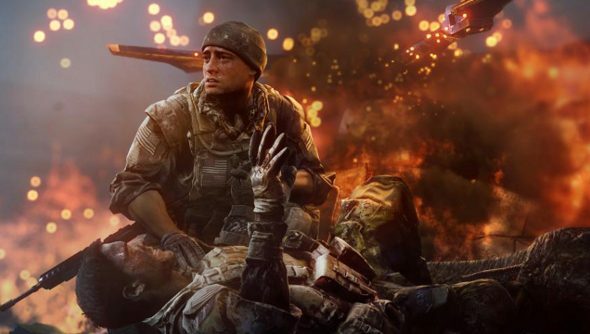 Speaking to GameSpot, DICE producer David Sirland vowed to earn back the trust that they “absolutely damaged” with Battlefield 4, admitting that a lot of players now “won’t trust us to deliver a stable launch game or a stable game”. The solution, he says, is to allow players earlier access to the development process, as they’re doing with the Battlefield Hardline beta. EA delayed Hardline’s launch date from October 2014 to early 2015 following poor feedback. As pointed out by CVG, Sirland’s candid contrition isn’t mirrored by statements made by EA’s CFO Blake Jorgensen back in March, who insisted that the “brand” hadn’t been damaged at all. “Clearly we’re very focused on protected that brand”. Until we are granted full and unfettered access to the Battlefield brand to inspect it for damage or other such wear and tear, it’s impossible to say who is correct.